Though writing, playing music, painting and working using music with elderly people, I alsoI serve as a mindfulness and meditation teacher in the Insight (Vipassana) tradition since 2003 and I am a certified Expressive Arts Therapist. I am also a student of the Ridwhan school, (Diamond Approach) since 2005. Time for my promised english update: Since this is not a diary, nor a travel blog, i wont be telling you about how it was to come back from India to Sweden in the middle of the Winter. Its enough to say that it is always a dance between extremes and a paradox, since Sweden and India is about as far away as you can get in opposite culture and believe me, if you are Indian and you think you want to live in Sweden, forget it. What you will get is a country where everything is extremely clean, where no one speaks to you on the subway, where you get your salary on time but everything is so expensive that you only feel rich if you translate the value into rupees. Here in Sweden people are individualists, they live alone, and are autonomous. You will most likely feel very lonely, because as an Indian you have learned to always be in company of others, friends, family, society, animals and everywhere there is an outburst of living creatures. So the dream of the fantastic West is usually not what one holds in ones dreams. 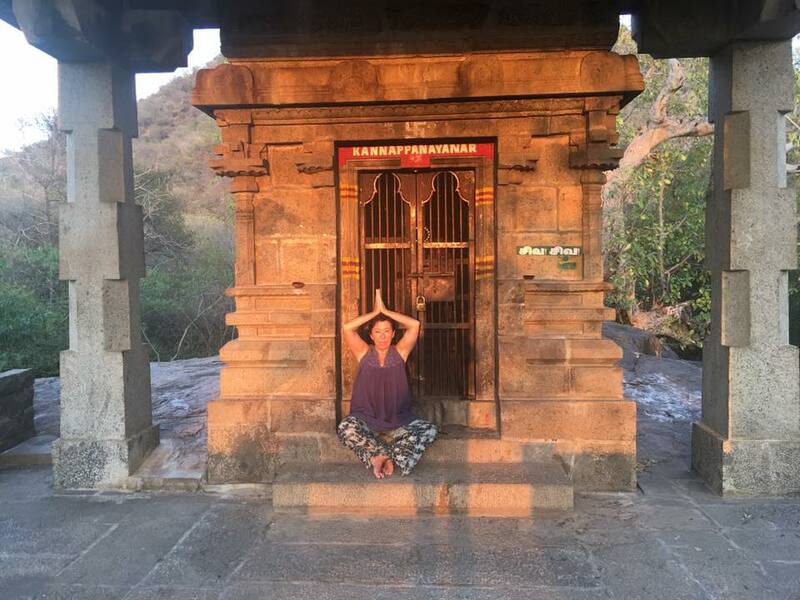 At the same time as a Swedish women going to India I am not only fortunate since my money is worth 8 times its value but I can also choose what to do and how to live when I am in India, which I believe is not always the case for Indian women. I miss waking up in the morning hearing the sounds of a world waking up; a dog barking, a prayer from some temple or mosque, sounds of a roaming cow, the birds, the sun that dawns while someone sweeps the ground in front of the house. What I don’t miss of course is the pollution and all the traffic. I am grateful for being able to meditate at the foot of Arunachala the holy mountain that is considered to be Shiva. Below you see the temple that is in Sri Ramanas ashram. Below is a photo from the days in the early 80tis when I studied Indian Classical music. Thank you India for remaining India my love.